Learn how to convert paper, Word, Excel and other files into fillable PDF forms with Acrobat DC. In this tutorial, learn how to convert paper, Word, Excel and other files into fillable PDF forms using Acrobat DC. (5 minutes) Click this link for information on how to fill and sign any form. I think you would find it much easier to download the latest free version of Reader DC to do this. It has a lot of tools to help you fill out forms. Especially if they started out as a scanned image. Listen; I know this may sound simplimatic to most; but, I really just need to scan in a form and fill it out, using Acrobat 8 Standiard. Need some help; because I am just tried this morning? 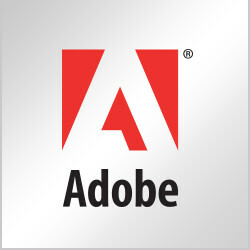 Adobe Reader does not have the ability to create a PDF from a scanner—it never has. Perhaps your scanner shipped with software that allowed you to do this. Have you reviewed the products that shipped with your scanner? How come you are disabling my free version so I can longer convert to PDF USING MY SCANNER ? Can you walk me through the steps you use to send a scanned PDF via e-mail in Reader XI? What type of e-mail program do you use? WHEN I SCAN A DOCUMENT USING MY SCANNER AND USE ACROBAT READER XL AND TRY TO SEND THAT DOCUMENT BY E-MAIL IT IS SENDING MANY E-MAILS AS MANY AS 80 E-MAILS AND IT LOOKS LIKE THE E-MAIL IS IN COMPUTER LANGUAGE. HOW CAN I CORRECT THIS PROBLEM?? THE EMAIL THAT I AM SENDING ALSO RECEIVES THE E-MAIL AS MANY AS 80 ALSO. PLEASE HELP. I am having problems to create forms from tables in Word. Is there any tutorial about that? The Acrobat Pro DC does not recognize the fields and when I try to do it manually I end up in a terrible mess. Is there something specific that we can help you with in regards to signing in Acrobat DC? this version of adobe pro is crap. so many forums are popping up complaining about loss of functionality. Me personally, I planned to set up a business on the back of adobe pro x1 function of being able to sign actual fillable PDF’s ......... now adobe pro DC won’t let you!?!?!?! you think this digital signature is great…..what about industries that require a hand signature. really don’t force me to torrent the old version and sort this. just like when google changed their calendar and you could not see the whole day in one view…........some so called IT experts did that also. Adobe sort this! I would like to know to insert a send button in a fillable form?